All entrepreneurs, including coaches are susceptible to making costly and ineffective marketing decisions. There is no group of individuals more equipped to create powerful visions, set measurable goals and impact and inspire the world than Coaches. Most coaches know what they want and the kind of lifestyle they want their business to provide. Yet, whether you define success in terms of money, peace, quality of life or impact on the world, there is 1 mistake even the smartest of the bunch make. Failure to Create A Viable Coaching Niche. The result? A lack of clarity that keeps them overwhelmed, overworked and living their worst marketing nightmare; unconsciously repelling clients. A viable coaching niche is one in which you can identify who you serve, craft your unique marketing message, create your ideal clients, and confidently serve them. Which one of those dinner descriptions is clear, specific and attractive enough for you to say…. So, how does this apply to your coaching business? 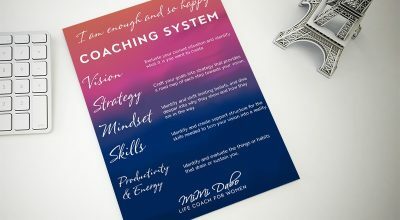 Let’s say you’re a life coach who works with everyone; maybe you help them build self-esteem and confidence, so they can advance at work, grow in their relationships and have a better quality of life. Perhaps you also work with women who want to lose weight. And you have a few clients who want to start a business or grow a business or be become better business leaders. Or you’re a health coach who helps women eat well and take better care of themselves, so they can thrive in their jobs and personal relationships. I invite you to consider the following questions, especially if your website is one of your primary ways of marketing and building your coaching business. How do you run your business? Do you do internet marketing? Is it word of mouth referrals? How do you tell others what you do at a networking event? How easy is it to craft a blog post or ad for your business? What cohesive theme runs through your coaching business? Who are you talking to? Would nailing a viable niche serve you and your business? Would it cut down the overwhelm? What would life be like if you are not unconsciously repelling clients? So, how can coaches avoid this No. 1 Mistake and start creating a thriving business? Ask yourself the following 25 questions (For some of these questions, feel free to ask friends, family and colleagues for their opinions too). What events and life experiences have had the most impact on my life? What is my academic background? What topic can I talk about forever? What type of work makes me want to jump out of bed with excitement each morning? What do I enjoy helping others with most? What do people always ask my advice about? What absolutely breaks my heart? What do I love so much that I will gladly do it for free? What do I enjoy doing that I will be happy to charge for? What group of people can I serve? What am I open to learning more about? What is most important to me in life, business, relationships? What is my vision and/or mission? Nothing beats a good old Strengths, Weakness, Opportunities and Threats (SWOT) Life Analysis. Let’s say you discover that you really want to work with women. You enjoy empowering women to become everything they are meant to be. Well, the question becomes “Is my niche women?” Are you truly equipped to market to every woman on this planet? How can you get more specific? Professional Women? Business Women? What 5 ways can you think of to narrow your niche even further (and keep it profitable)? A few traditional ways to narrow down your niche include physical characteristics, location, occupation, etc. Try stepping outside the box and learning more about their greatest pain. What are they trying to avoid? Discover why and how you might be the best answer to their biggest prayers. What’s the point of narrowing your niche? It empowers you to do this next best thing to avoid making the No. 1 Mistake Even Smart Coaches Make. Create Your Unique Marketing Message and Ideal Clients. Knowing who you serve is just 1/3 of the analysis. Like with the dinner party example earlier, you have narrowed the meal down to dinner. Maybe, even chicken. What language will you use? How will you connect with them so that your ideal clients run, not walk to work with you? Yes, you’re a coach and you don’t do the work for the client. Maybe you don’t cross the line between consulting and coaching. And you may not even give the occasional advice. The client is after all the expert on his or her life. And the client is looking for results. How do you marry the two? By making it less about you, and more about the client. By speaking with clarity. Business clients don’t come to me to bridge the gap between their last profit statement and their goals for a six-figure year. Even though I will support them to bridge that gap, the result they want is “I want to create six-figures this year.” AND I don’t promise anyone results. But I can speak their language. The one that says I am that coach that supports women entrepreneurs to create six-figure businesses. How? If you decide, commit and act, you get results. AND I know the power of coaching. With an inspiring vision + measurable, concise goals + a great strategic action plan with baby steps + skills + resources + an optimal environment + powerful mindset, anything is possible. MINDSET is KEY; and can be the crux of anything we decide to be, do or create. As coaches, we support our clients with that. We don’t create the RESULTS. But we stand for them and support them with all our tools to get them to the results they have committed to create. The dreams they want to make real. Back to clarity with clients. Weight loss clients are not looking to lean into the edge of their desired body weight. They are looking to get skinny now. Maybe your unique marketing language that gets clients fast is the “Get Skinny Now” Coach. Perhaps your tagline is “Get Skinny Now and Keep the Weight Off for Good.” If eating less and exercise was the answer, MOST people would be skinny. It’s all about MINDSET. And that is one of the top reasons why you are the perfect person to support them. But they won’t know if they don’t understand you. Now you have your unique marketing message and you know how to create your ideal clients. Because you’re trading ambiguity for a specific group of individuals, it is easier to find them. You do less work and feel less overwhelmed. You may even lose that growing resentment that’s been holding you hostage. You may stop feeling so trapped by the business. You may lose the feelings of isolation. You may stop dreaming about heading back to your 9-5 job. You may fall in love again with your passion helping others. 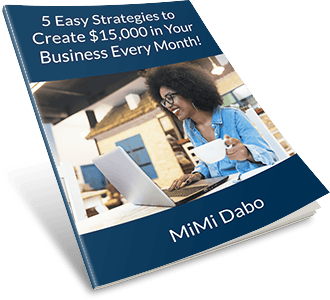 You will start making money. You will create a thriving business that continues to inspire and motivate you to serve powerfully. You deserve it! So why is it challenging to create ideal coaching clients even with the perfect niche and a great marketing message? You know that whole MINDSET thing? Well, if you thought just narrowing the niche to a specific group is enough to give you hives, then prepare for the biggest part of the road to making the No. 1 mistake. Decide who you want to serve, how you want to serve them and go confidently in the direction of your service. Just like our clients, our coaching mindset is Everything. It could move us forward or create a barrier to our goals. By staying focused on the clients. You are not the one responsible for getting the results. But you do have the tools to support those who want the results. Do I need to make six-figures to coach my clients in creating six-figure businesses? Do I need to have experience running a multi-million-dollar business to coach CEOs who run those multi-million-dollar-businesses? What stops are you creating because of FEAR? Does a woman with breast cancer choose her surgeon because the doctor has also had breast cancer? 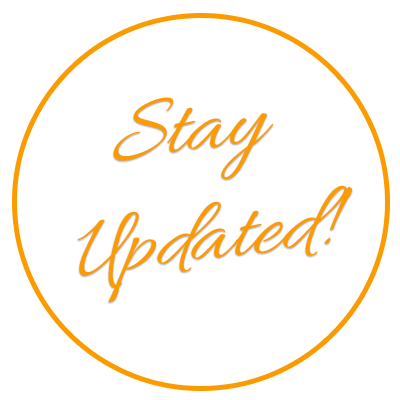 Ask yourself what skills you need to upgrade to fully support your ideal clients in your niche market and act. Hire a coach to support you to be, do, create – take action. Commit to doing the requisite mindset work so you can create the life and business you want. Don’t let your hang-ups become your clients’ hang-ups. Get past your fear AND do it anyway. Perhaps it’s not about the skills. Maybe you believe you are leaving money on the table by narrowing down the people you work with to just 1 ideal group. Your dilemma? Why can’t you just serve everyone……….. You can! You’re the expert on your life and your business. You get to decide! Back to confidence. The thing is, you have a big, open heart and the best of intentions to serve, give value and make a huge impact in the lives of your clients, but if you don’t take action to learn your own value, and articulate what makes you valuable, unique, powerful and special, you cannot serve at your highest level. You don’t need confidence to take that step towards creating your clients. Creating the clients will give you the confidence you have convinced yourself you need. If I can monetize my failure to nail my perfect niche, what is it costing me. If I could put a number on it, how much has this No. 1 mistake cost me financially over the last 12 months? What is the impact on me serving my clients, building a business and living the life of my dreams? What do I want to do about it? Who am I going to be? You serve the clients you truly want to serve, doing work you love and enjoy. You are more focused, more effective, and more productive. You are rolling in referrals. When people know exactly whom you support/help, they can easily refer clients to you. You charge premium prices because your consistent experience in that area could help people to see you as an “expert” or someone with a lot of familiarity within that niche. You build a highly profitable business with a better quality of life because you have steady clients at premium rates OR if money means absolutely nothing to you, then you just create ease and flow in your life or business? And as always, there is no such thing as perfect. While you may find a niche you love and it feels perfect, its only perfect because you say so. And if you’re still on the fence, consider dating a few niches to decide if you want to create a long-term relationship with any particular niche. You don’t have to marry a specific one. I didn’t. And if you have zero-interest in discovering a viable niche, don’t fret about this post. It’s definitely not for you. There are coaches all over the world without a coaching niche AND enjoying highly successful, highly profitable and highly impactful coaching businesses. I love hearing from you! Comment below and share your thoughts. Want to connect? 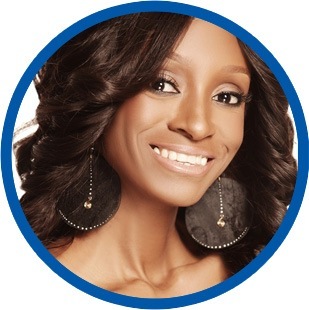 Email me at mimidabo@lifecoachforwomen to share your story, your perspective, your comments or your questions. Enjoyed this post? Do you know someone who will get value from this post? Sharing is Caring! Hit any of the Social Media Buttons Below and Share this Post with Your Tribe. I Appreciate Your Support. I help women entrepreneurs, coaches and business owners create successful businesses without burnout and overwhelm, create ideal clients in their viable niche, confidently charge premium prices for high-end programs and packages, and double, triple or 10x their income with less work, less guilt and a bigger impact. Take the FREE Life Purpose and Business Vision Quiz at www.lifecoachforwomen.com.